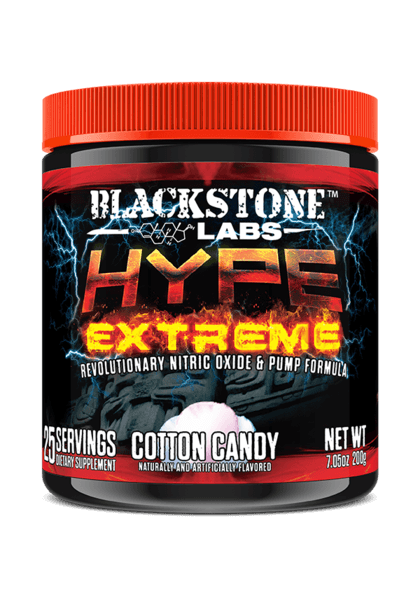 This is easily the best straight up pump formula we sell, It has a whopping dose of Sodium Nitrate which in my opinion is the most superior pump ingredient available today. 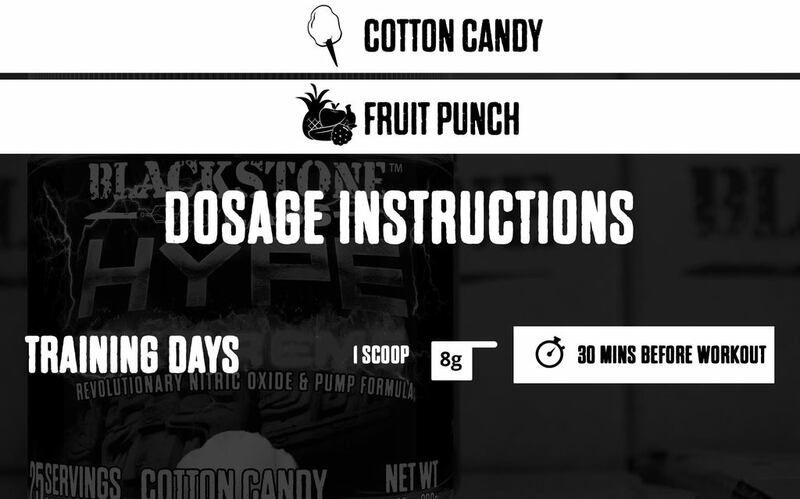 You’ll find it only in a few brands such as Purus Labs products and now Blackstone as well, the reason for this is the patent holder is very selective about who uses the formula. Theres also a well thought out supporting cast of ingredients Nootropic’s and adaptogens. 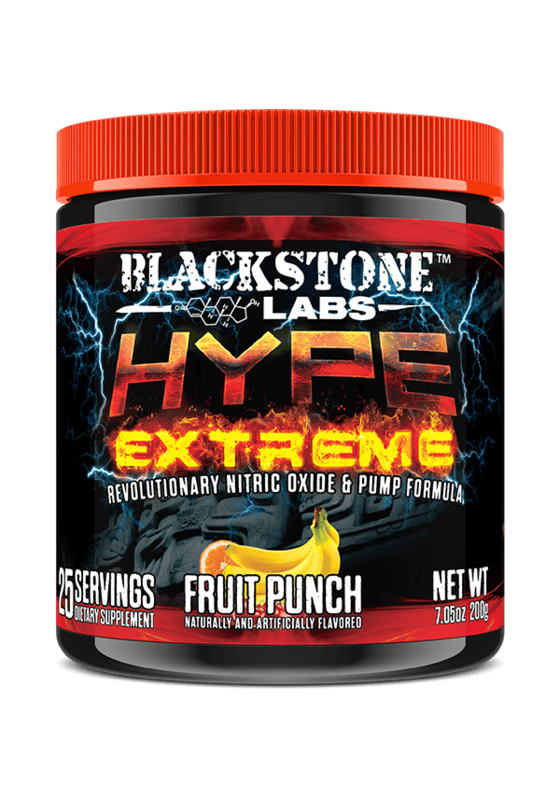 Stack this with any other pre workout or pump formula for amazing synergistic results as the ingredients will likely not overlap. But to be honest the pump you get from this formula will be more then enough – get ready for THE pump of your life. This formula will become known as an industry standard in coming years – just watch. The final key to the puzzle was the inclusion of nootropics to the formula. We always, always stress the importance of looking good and feeling good. With nootropics, you’ll get your pumps, but also so much more. We’re talking increased focus, performance, mental clarity, and heightened awareness. This is what people refer to when they talk about “getting in the zone.” This works by increasing oxygen flow to your brain, on top of raising acetylcholine levels, which is a neurotransmitter that improves cognitive function. Rhodiola Rosea is another nootropic that works to reduce fatigue and assist in raising cognitive function as well. To further aid this, and really the standout in this category, is Alpha GPC. Lauded as the Cadillac of choline sources, it converts to acetylcholine at an amazing rate. 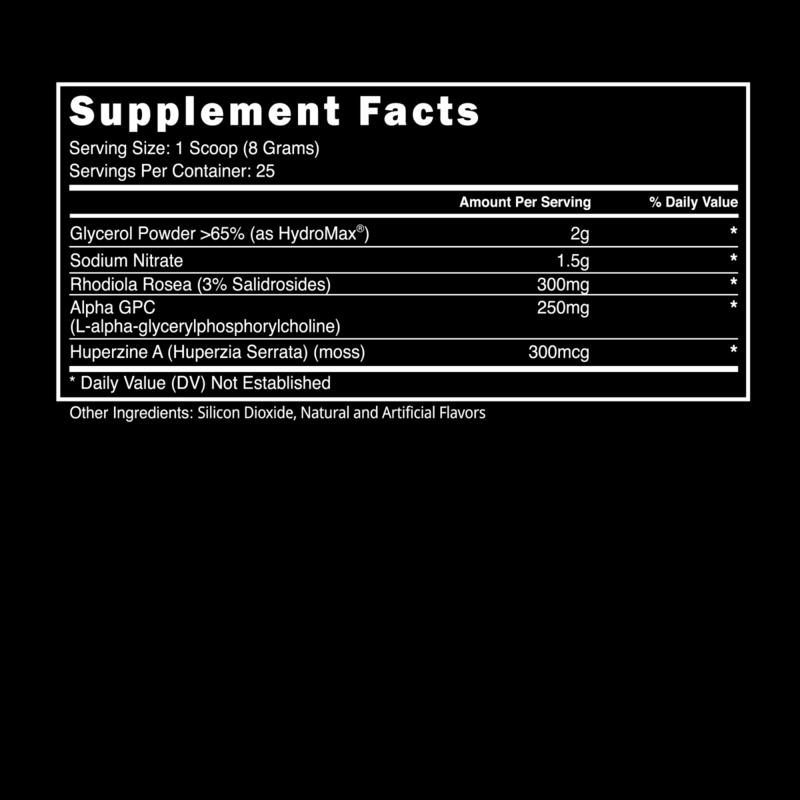 And to round out our nootropics, we have also added huperzine A, which prevents the breakdown of acetylcholine. This keeps you in the zone longer and enhances the effects as well. Go harder and longer for the best results imaginable.